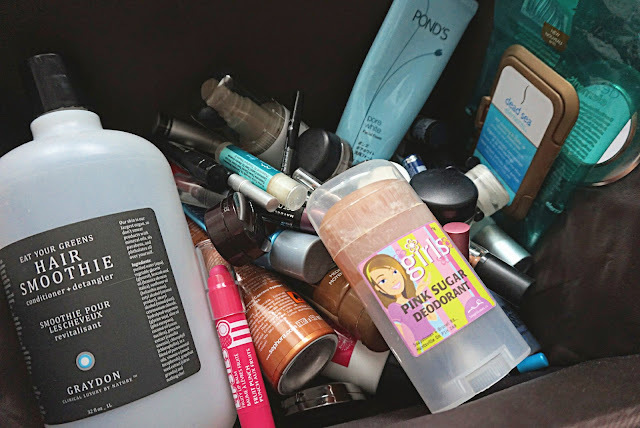 It seems like its been a while since my last empties post, however it has only actually been a month and well ... I've used up a lot of products and thought that once again, I should share my thoughts with you! While most of them are empties, there are some that I just couldn't finish in time before it went bad, or some were just misses. 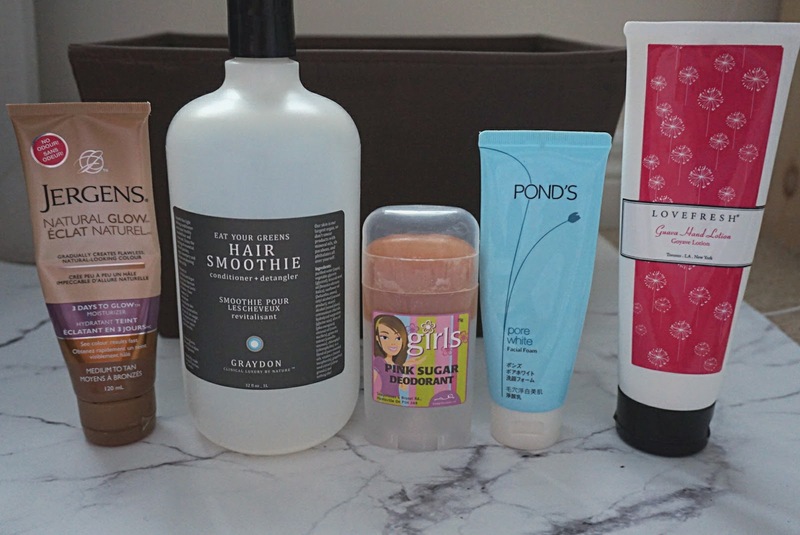 Continue reading to see what made it to my must re-purchase list! Will always continue to buy this as it gives you a beautiful natural glow and builds to the darkness you desire without being streaky, patchy or making you orange. LOVE this stuff, however the price tag is steep. When I used this paired with the LUSH New! Solid Shampoo bar, it made my hair fall out less, and it worked! I may have to just buy this for myself come Christmas. 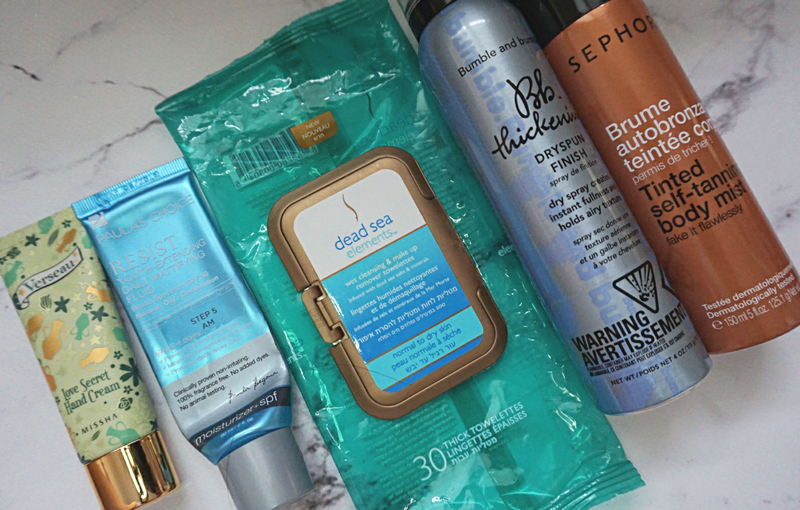 (read my previous blog post on this, loved it, still loved it and will continue to repurchase it). I used to love this face wash when I was in my teens and so when I went back to Hong Kong a few years ago, I wanted to pick up 2-3 to see if it would work for me again. While the scent was still the same and brought back the nostalgia, it just didn't quite work for me. Though cream based, the formulation is quite thick and I still found it to be drying. I would not repurchase this. I must admit, the scent of this product was what captivated me to buy it, however it did nothing for me in terms of moisturizing and also flared up my eczema. Will not repurchase, sorry! Loving this! It mattifies, it smoothes out and really works! Picked this up at Winners and it worked really well. No complaints! Would either pick this up again or another brand. I see no difference between this and more expensive luxury brand ones as it really takes off all make-up. I purchased this twice before and still love it! 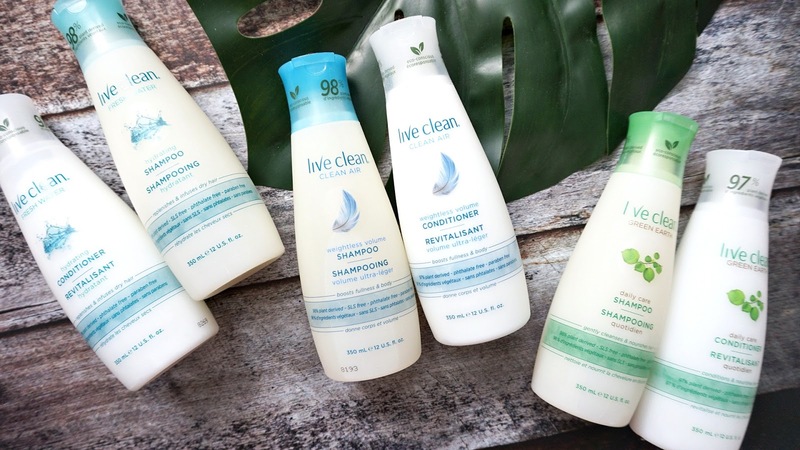 Gives you texture and volume without weighing it down. I will repurchase again. Love this too and while I don't normaly self-tan, this is really good if you're in a pinch and want to go a few shades darker. Yes, this will need to be built on in layers - however I have to say that when sprayed onto your body, it leaves a very fine mist and when you use a tanning mit to spread it out afterwards, it works. You don't turn orange at all. So if I ever have to self-tan, I would buy this. This concealer was very pigmented and creamy based and definitely creased if you didn't set it. That being set, I really liked the peach tone it gave - so it worked very well to counteract those dark circles. I'm not entirely sure if I will re-purchsae this as I'm always hunting for a better concealer! This is one of the better cream liners I have tried, it doesn't dry out quickly, in fact mine lasted ... don't judge me a good 6-9 months. 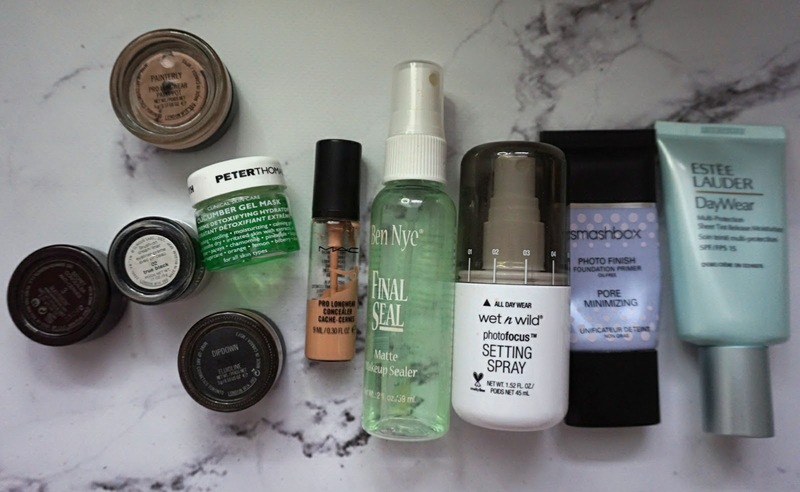 I tried the Bobbi Brown one and other different drugstore ones and those dried out so quickly. This is black, pigmented and creamy and stays put. I will definitely repurchase this. A great brown cream liner - pigmented, will repurchase again. I used to think that this didn't do much when I had used it, however this is one of those products where when you don't use it, you miss it. I am not sure if I will repurchase this as I am still looking for a great eye primer. Not sure if I like this enough to buy it as like I've said before, I'm always on the hunt for a good concealer. This did do the job and offered a good medium coverage. The only downside is I don't seem to fit into either the NW or NC category..so it's hard for me to find a shade and have to mix both. I would not buy this again - I know that this is more suited for theatrical make-up and setting it, but the mist does not come out in a fine mist, it's pretty aggressive in the nozzle and its really minty. It actually stings and feels like I sprayed mouth wash on my face. It also made it feel sticky on my face right after like I put super glue on - and didn't actually make my make-up stay any longer or controled the oil secretion. This is a great dupe for the MAC Fix+ and at a very reasonable drugstore price. It does its job and I will definitely repurchase. I will repurchase this - it really smoothes out the enlarged pores and doesn't make you greasy and also dries to a satin finish. I love this alot! 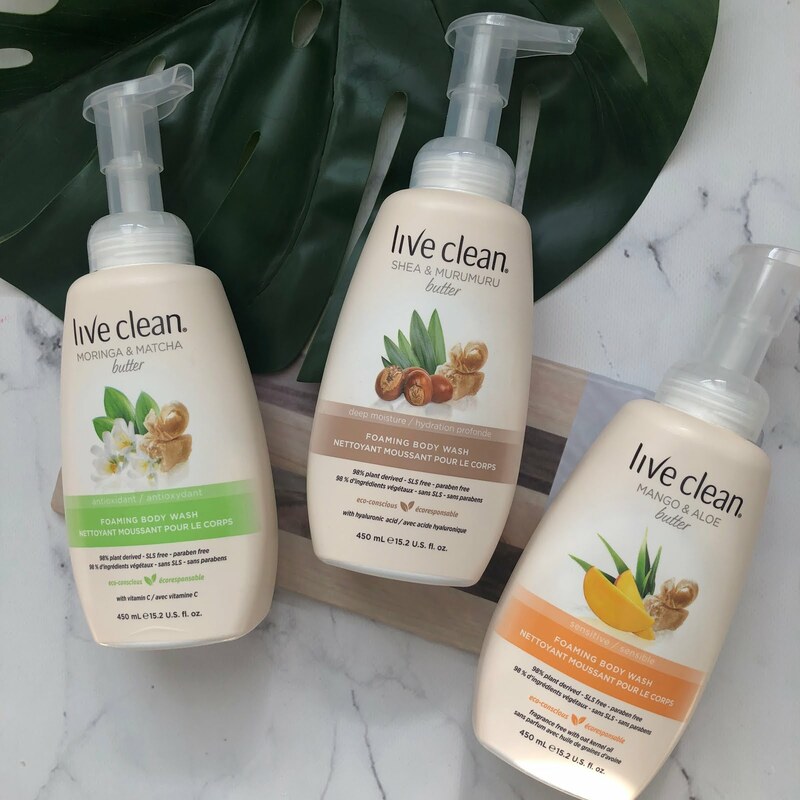 I loved this when I had this, but I would not repurchase this as it is actually quite expensive compared to its counterparts that may be offered at the drugstore. This didn't work out well for me, it settled and accentuated my pores and blackheads and settled into the crevices of my face - i.e. around my nose area. Wouldn't repurchase this, it wasn't pigmented and didn't layer well. It became patchy and dragged. I really enjoyed this but the price tag is too high to warrant a repurchase. 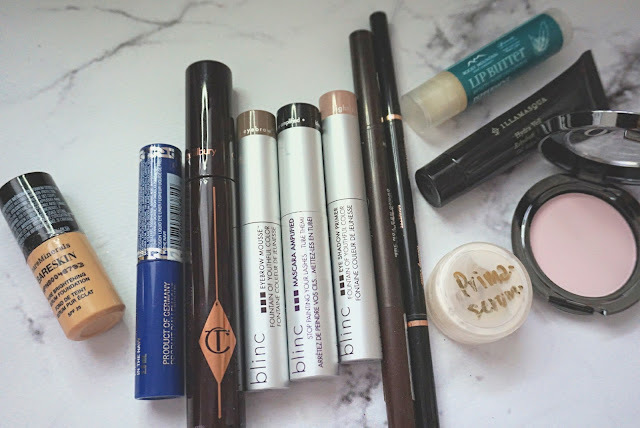 2016 has been a year of discovery for me in terms of drugstore mascaras and how they do offer amazing ones at a fraction of the price. Enjoyed the product, but again I have discovered better ones at the drugstore. Loved this! But same goes with this as it does the Charlotte Tilbury Mascara above. I liked the neutralizing factor of this mascara, but it didn't seem to help with the creasing factor. Bought this on e-bay for less than $5 and I love this! took forever to use and comes in a triangle thick tip similar to the new Hourglass and ABH pencils. I will definitely repurchase this - in fact, I need to now on eBay and just remembered! 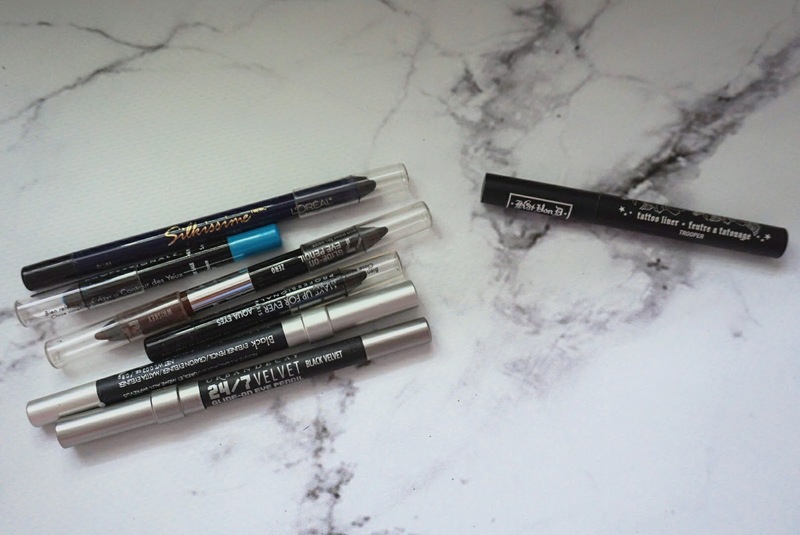 Liked this when I used it, but this gets used up really quickly and doesn't seem to have as long of a lifespan as other brow products/pencils I've used in the past. Loved this so much (curses to Tati, Glam Life Guru's videos as I learnt about this on her channel), and I actually purchased this. It smells great, mattifies the skin and keeps my oil at bay. This unfortunately didn't work out for me, its so soft that it didn't seem to stay onto my lids properly even with a primer. Enjoyed this - especially in the winter as the gel like formula is packed with moisture and leaves your skin plump and dries quickly allowing for make-up application to be a breeze. Wasn't a fan of this - the balm seems to be so hard and it just didn't glide onto my lips the way I wanted and doesn't moisturize. This is a very generic review but honestly all of them do not shine a light on the new Make Up For ever Aqua XL liners. I tossed out all the ones that only semi-made me happy and opted for the MUFE ones that do not budge, smudge or wear off. Still love this, and will continue to buy this. I am on my third liquid liner repurchase of this. 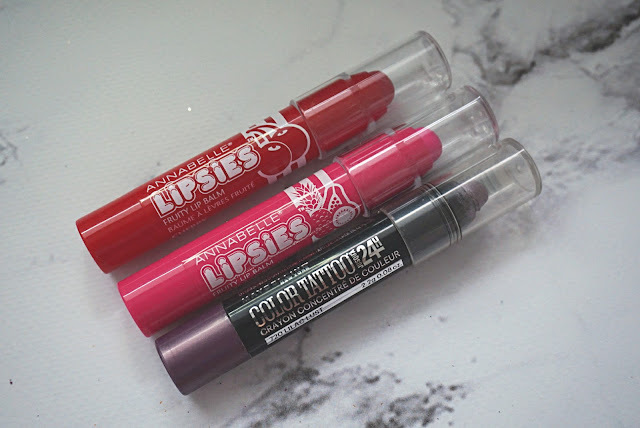 These balms are moisturizing and offer a cute scent and tint to the lips. While I will not repurchase these again as I always get to try new make-up as a perk of a beauty blogger, I highly suggest that you buy these, or buy them for your friends and family, even as stocking stuffers! The classic cream pot that is converted to a twist up crayon is one of the best decisions they have made. No longer do I have to dip my fingers into the cream pot, or my brush - I can just directly apply this to my lid. However, I can't just use this as a shadow on its own, I use this as a primer base to make the shadows pop more. Not sure if I'll repurchase this though as again I have repeatedly said, I am on the hunt for a better primer product.